Retro style is definitely back this year! If you're looking to get in on the trend but are lost when it comes to where to start, this is the perfect list for you. I've compiled the best retro dresses, from full A-line skirts to more slimming silhouettes, and I've got you covered. 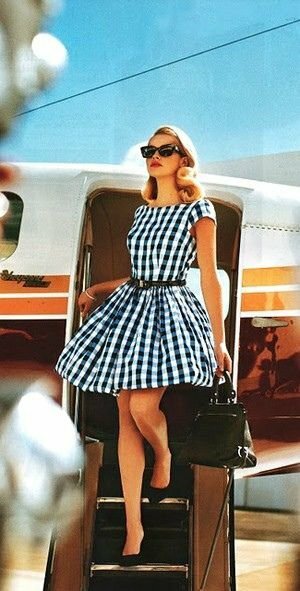 With this list, you're sure to find a gorgeous retro dress to wear this summer! Don't you just love the light blue A-line skirt of this dress? It's so hard finding a retro dress that isn't too fancy. This is the answer to that problem! I love the style of this dress paired with the color and polka dots! 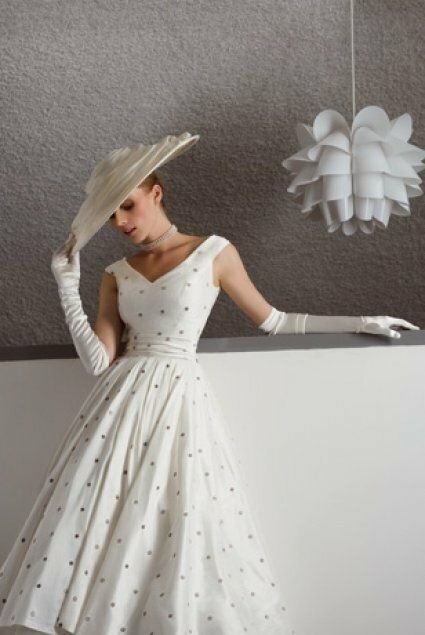 Not only is this silhouette absolutely stunning, but the tiny polka dots just add a beautiful touch! This bright red skirt and her hair make me want to only ever dress like it's the 1950s! This muted but bright pattern adds such a cute touch to this dress. This simple silhouette is just stunning. It doesn't get much more retro than a Peter Pan collar and polka dots! This is definitely a dress that could've been worn in the 1950s. I love the colors! Don't you wish we all looked like this when getting off of an airplane? So stylish!